I started reading this intriguing yet interesting book entitled the Broken Mirror, Inside a Chinese Marriage. It's a story of a young Filipina married to an immigrant from China and strove to be a traditional Chinese wife. The synopsis says reveals secrets of Filipino-Chinese marriages. Married to a Chinese man, I am also curious and would want to know the secrets behind it. One thing's for sure, every marriage are different from one another. God must be the center of marriage. At the moment, I'm reading Chapter 2. I prefer not tell so much about the story. 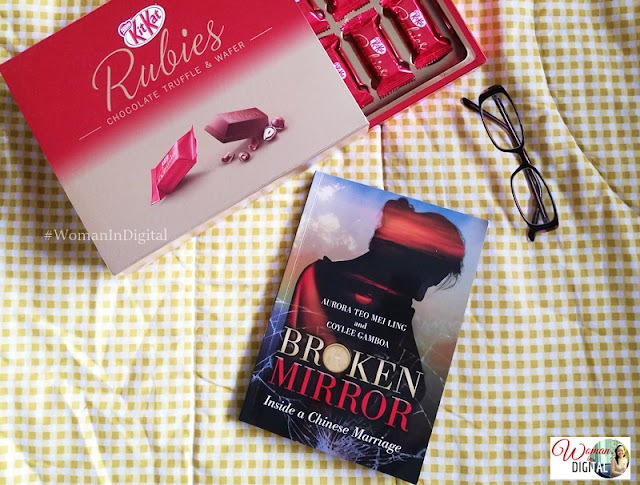 Broken Mirror is the story of Aurora, not her real name but it's a true to life love story. Aurora Teo Mei Ling's streak of bad luck ran seven times seven years. Her originated from China and during the war, his family moved to Hong Kong to start. Aurora was born out of infidelity. His father met Aurora's mother during his stay in Manila. The father was a womanizer. He had five women in his life and Aurora's mother was the 4th. Unfortunately, she lost her mother at the age of two. There's #KitKat in this photo just because "a happy marriage is like a chocolate that adds sweetness to life". So what happens next? His father went back to the original family and brought Aurora with him. She was mistreated by the original wife and made to feel unwanted and unworthy. As a young adult, Aurora mistook lust for love and entered into a relationship with men who abused her. Eventually, she married an immigrant from China and strove to be a traditional Chinese wife. I have yet to find out the secrets of Filipino-Chinese marriages based on the book's title. To be honest, I find the title amusing. I wonder what these secrets in a marriage of two cultures? I believe in every marriage, there will always be minor issues since two people especially if they came from different upbringing. On my personal experience, Chinese have close family ties just like most Filipino families. Chinese have high respects to their elderly. Chinese families are very private. On the other hand, my Filipino family are very open. I even shared a lot through this blog. A man's brain is different from a woman's, the same with his need and hers. Husband needs respect and affirmation, woman needs affection. 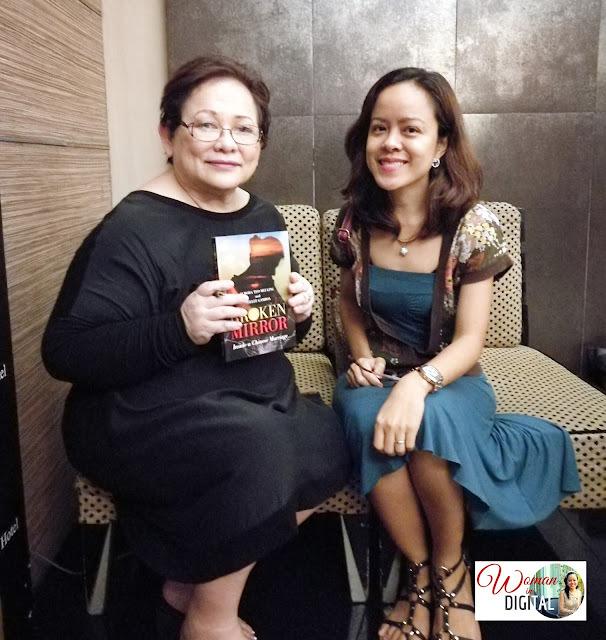 The book was written by Coylee Gamboa, a Master's in Communications from Stanford University and Bachelor of Arts in Journalism from the University of the Philippines. She was the financial markets editor of the Asian Wall Street Journal in Hong Kong and a news editor of the Business Times of Singapore. She is currently based in Manila. Coylee is an editor and a book writer who assists people with their life's work. During my interview, I asked Coylee is Aurora was able to redeem herself and if there's a happy ending. She said there might be a sequel so let's wait for that. Aside from going to the spa and cooking, my free time were spent reading inspirational books. I also love listening to podcasts such as Focus on the Family. As a young couple, I find other married couples' stories inspiring. I can't wait to finish the book and discover that secrets to Filipino-Chinese marriages. There's one thing that I also wanted to know, #WhoIsAurora? She could be one of the well-known personalities or a rich woman from a prestigious family. 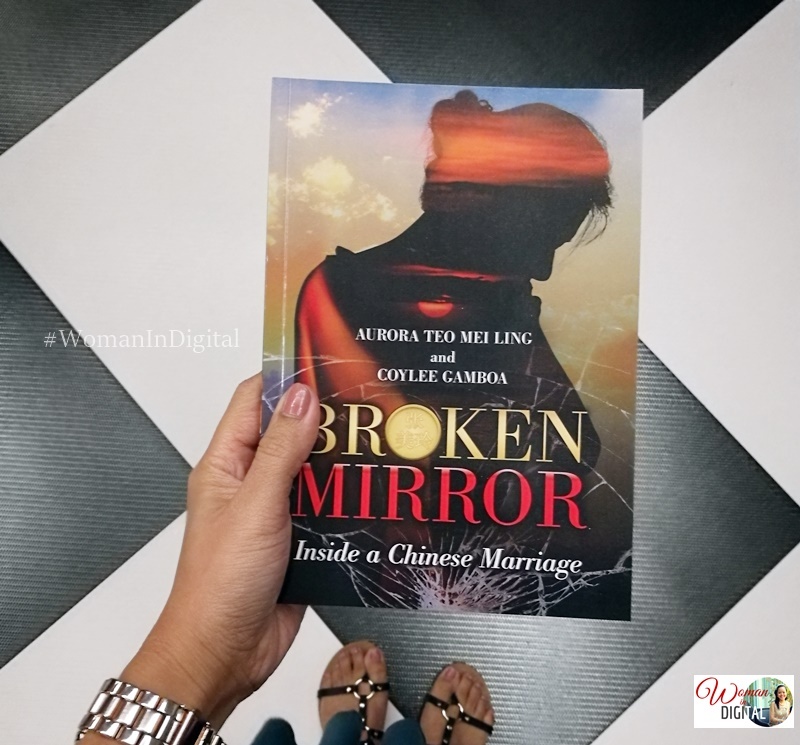 Broken Mirror, Inside a Chinese Marriage is now available at Fully Booked and retails at Php500. If you read it, share your thoughts on this blog. I would love to hear your comments.